When leaders call us for help with any type of communication, our first step is to understand what’s going on. We need to assess the audience and current state to identify key issues or opportunities before making recommendations. Our answer: If a company had a customer relations problem or tanking financials, would you expect leaders to say, “We know we’re doing a bad job of meeting customer needs, so why bother measuring?” Unlikely. They’d want to go out and find out exactly what was wrong and take immediate action to fix it. They’d also want to get credit for taking a smart, strategic approach to make an improvement grounded in facts. And, they’d want to be able to keep a pulse on progress to be able to adjust strategies in real-time. Some education is in order to help organizations understand why we need to measure and what communication measurement can do – even when a problem has already been identified. We can understand attitudes that exist and the extent of communications breakdowns, which highlight the issues that need to be solved. Advanced statistics help us know where to start to have the most impact or improve a specific outcome. This allows organizations to target the most critical areas to address – whether it’s a specific attribute such as timeliness or completeness, or an opportunity such as how supervisors communicate – allowing you to be more prescriptive and get better results faster. 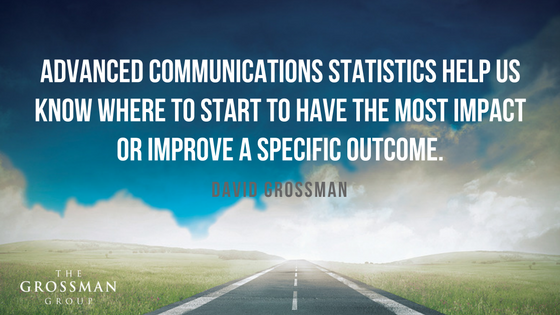 Advanced #communications statistics help us know where to start to have the most impact or improve a specific outcome. If you are serious about effective communication, you need a baseline from which to measure progress and success, which comes from an initial assessment of problem areas. This benchmark provides the basis for comparing future research so you know what’s working well and where to adapt strategies going forward. Communication measurement can find out if employees have received and understood key messages you want to deliver, and/or if the channels you’re using are effective at delivering those key messages. The results can help you modify and focus future communications, while also reinforce to employees that you care enough to listen – and take action on their feedback. With the right data, you can drill down to understand how communication is working in various geographies, divisions, functions or even employee level, and use the results to leverage communication resources (people and dollars) in more efficient ways. Best yet, you can stop what’s not working and reallocate or save resources. If you’re serious about improving communications, the act of measuring is a symbol of change, and will be valued by employees. However, beware of measuring without the commitment to follow through -- to be effective in supporting change, you need to do something with the data to show progress. The bottom line is, what gets measured is what gets done. If leaders and managers know they’re being judged on communications efforts, they’ll start paying attention to how and when they engage employees. Communication measurement is an excellent way to assess where communication works – and doesn’t work – within an organization and can help you get on the right track to more effectively connect with and engage employees. What are you doing to assess and/or measure your communication? Want more communication tips? 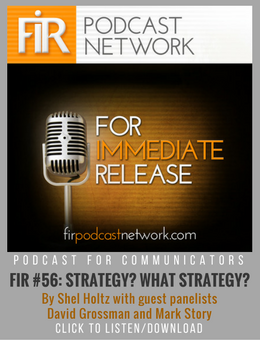 Get more on defining the outcome and several other steps in our recent ebook, The Courageous Communicator Quest. Download today!